India, March 24, 2015: Triveni Sarees' Spring & Summer 2015 collection introduces a comprehensive color palette and it features largely on a mix of softer, nature inspired & earthy pastels of colors. “Last couple of seasons, we have seen a shift in paradigm from Fluorescents & Neons to more neutral and naive shades. People are looking for fashion that represents individual & offers more space, leaving room for dashes of brilliance – with prints, embroidery styles & colors. 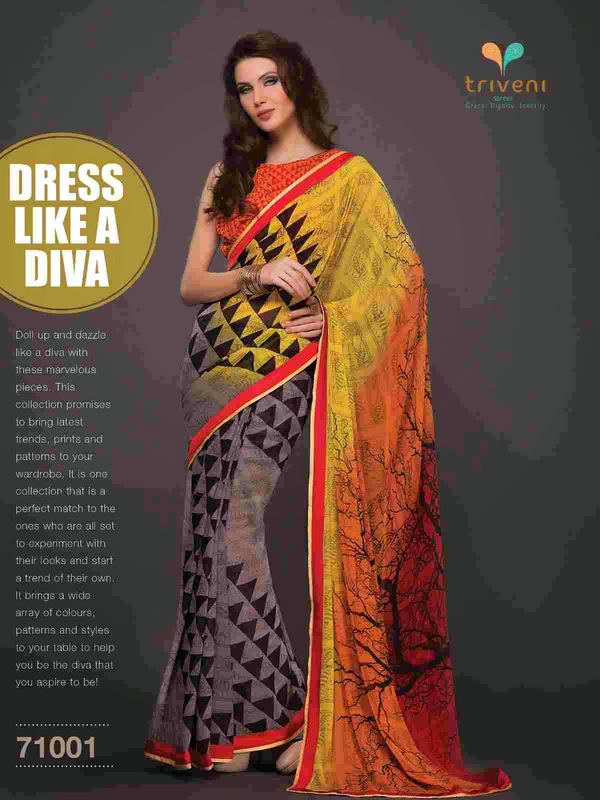 Bling, wherever required, has also been added with quintessential gold & silver,” adds Shailesh Saraf, Director, Triveni Sarees. The latest spring and summer collections 2015by Trivenifeatures printed Sarees, Lehengas & Bridal Sarees. “The Spring Ushers” collection features printed sarees, embracing pastels with bold accents and contrast colored dark borders. Prints are inspired by textural floral of impressionists to rhythmic geometrical& checks of Eastern Indian artists. They seek to bring out the multi-cultural trait aspect in the new age saree for the young. 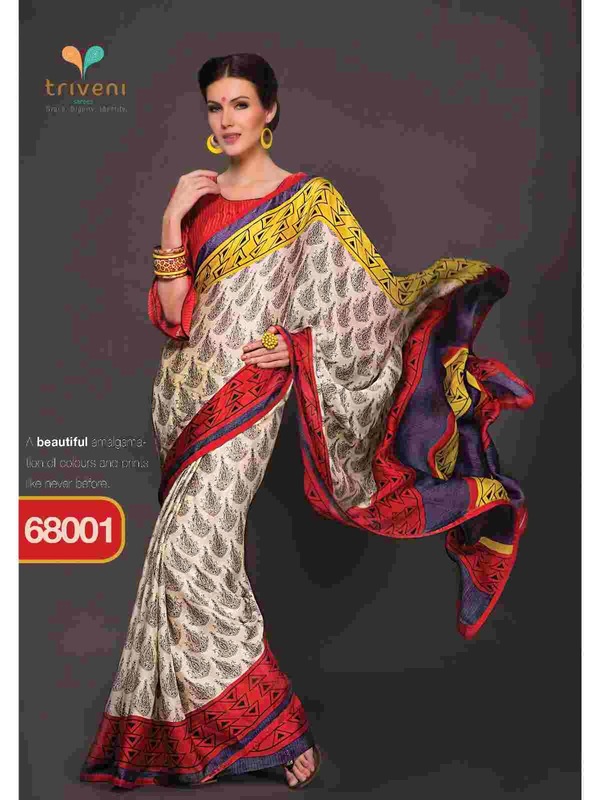 Set on comfortable & light feel Georgettes & Art Silk, the sarees are a perfect match for the stylistas who like to experiment with their look and start a trend of their own. The staid Art Silks blouses can be styled to suit parties, events or everyday office – and some of the flowery Georgettes do flaunt a touch upon YashRaj's Bollywood “Walk in the Spring Fields”. “Zubeidaa” collection brings to you exquisite lehengas, fusing in the essence elements of Mughal & Rajputana styles. Velvet tops on white or light colored lehengas, the gold zardozi inspired motifs & embroideries and the use of navy blues & dark pinks are very Mughal. The earthy tones of green & orange, the kurta style tops and bright embroideries around cut-glass work are certainly Rajputana kind. Triveni is a 29 year old maker of Sarees and Indian Ethnic wear. 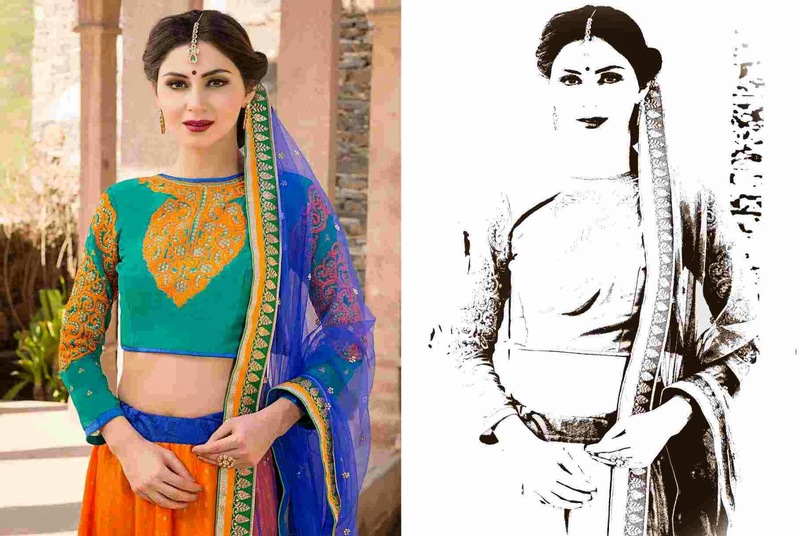 Based on the solid foundation built by its Sakambari Silks Mills, Triveni has spanned to global proportions with the advent of its online store - TriveniEthnics.com. Triveni currently has over 80 wholesale counters all over India with listings in all major online retailers as well. The range includes. Triveni went online in 2011, taking the Triveni collection worldwide (www.triveniethnics.com), online & a few clicks away. Triveni's designs & collections are now available at most major retailers in India and most major web-portals in India & worldwide.